1: U.S. Costs Are Getting More Competitive. While wages soar at double-digit rates in China and some other emerging countries, they have stayed roughly level in the U.S. in recent years, narrowing the gap between America and Asia. China’s overall manufacturing-cost advantage has shrunk to just 4%. When wages are adjusted for productivity and the costs of shipping and inventories are included, it can be more economical to make some products in the U.S. than in Asia. Further, the surge in U.S. production of oil and natural gas, made possible by fracking, has pushed down energy costs. 2: Companies Are More Eager to Produce Near Their Customers. Companies are increasingly focused on reacting quickly to changes in demand, which is a lot easier when they’re making their products close to the customer. Manufacturing here can reduce the time needed to obtain goods to days or weeks from the 2 months needed to ship goods across the Pacific and get them through customs. 3: The Political Climate for Manufacturing in the U.S. Has Improved. State and local governments in the U.S. now are competing fiercely for investments and offering some rich packages. The declining power of U.S. unions also encourages some manufacturers to set up here rather than Europe or elsewhere. 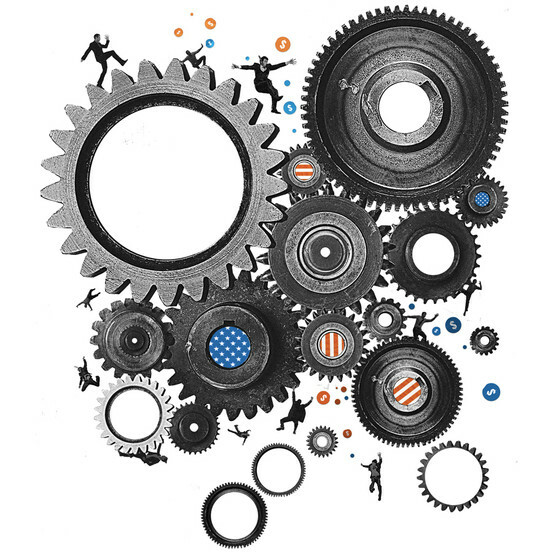 4: Foreign Companies Are Betting on U.S. Manufacturing. China remained the No. 1 destination for foreign direct investment in 2013, but its total last year rose just 2% from 2012 to $258.2 billion. The U.S. attracted $193.4 billion, up 16%, to rank No. 2.